Charnett Moffett grew up in a musically active household. His father, the renowned jazz drummer Charles Moffett Sr., was a member of Ornette Coleman’s trio of the mid 1960s as well as leader of the Moffett Family Band. 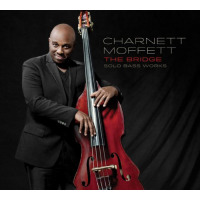 (Charnett’s name is a contraction of both Charles and Ornette). As a child prodigy, Charn'ett first appeared on record at the age of seven in 1974 with the Moffett Family Band and the following year toured Japan with the group. After attending Fiorello H. La Guardia H. S. for the Music and Arts in New York City, he studied at Mannes College of Music and obtained a scholarship to study at the Juilliard School of Music. Moffett joined Wynton Marsalis’ quintet in 1983 at the age of 16 and later appeared on the influential, Grammy Award-winning 1985 recording Black Codes From the Underground. During the ‘80s he also worked with guitarist Stanley Jordan, the Manhattan Jazz Quintet and drummer Tony Williams. In 1987, Moffett signed with Blue Note Records and debuted as a leader that year with Netman, which featured Michael Brecker, Kenny Kirkland, Al Foster, Stanley Jordan and Mino Cinelu. The following year, he recorded Beauty Within featuring his father Charles on drums, older brothers Mondre on trumpet, Charles Jr. on tenor sax, Codaryl on drums and sister Charisse on vocals. Special guests include Kenny Garrett, Bernard Wright and Kenny Drew Jr. and in 1991 with Nettwork, his swan song for the label. In 1993, Charnett recorded Rhythm & Blood for Sweet Basil’s Apollon Records. A savvy mix of jazz and pop, it placed high on the music charts in Japan that year. Moffett would subsequently score artistic triumphs on the Evidence label with 1994’s Planet Home and 1997’s Still Life featuring keyboardist Rachel Z and drummer Cindy Blackman. 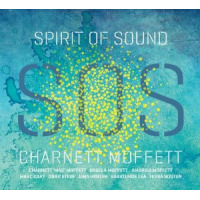 Another Charnett recording from 1995, Moffett & Sons, is a collaboration with father Charles that also includes appearances from pianist James Williams, saxophonists David Sanchez, Joshua Redman and Bill Pierce, and trumpeters Wallace Roney and Philip Harper. In 1996, Moffett appeared on two simultaneous releases by Ornette Coleman’s Sound Museum - Hidden Man and Three Women. Another 1997 recording, Acoustic Trio for Teichiku Records, showcased Charn'ett’s innovative acoustic bass playing. Three other ‘90s recordings for the Sweet Basil/Evidence label were done under the collective name of General Music Project and featured former Miles Davis alto saxophonist Kenny Garrett, pianists Geri Allen and Cyrus Chestnut and father Charles Sr., who passed away before the group could tour together. In 2001, Charnett released a potent recording with Kenny Garrett, pianist Carlos Mckinney and drummer Louis Hayes, Mr. J.P (a tribute to Jaco Pastorius), for the now-defunct Sweet Basil label. In 2004, Charnett achieved another artistic triumph as a leader with For the Love of Peace on Piadrum Records, featuring brothers Codaryl Cody Moffett on drums, Mondre Moffett on trumpet and Scott Brown on piano. A compelling statement as well as a manifesto for the bass and the harmolodic principles he has upheld throughout his career, Charn'ett lavishes listeners with 14 pieces of challenging, stimulating original music. 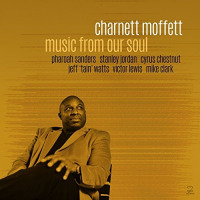 In addition to leading his own band, Charnett is also currently a member of McCoy Tyner’s group, appearing on the great pianist’s 2003 Telarc recording, Land of the Giants. He has performed and recorded with artists such as Art Blakey, David Benoit, Anita Baker, Harry Connick Jr., Ornette Coleman, Kevin Eubanks, Dizzy Gillespie, Herbie Hancock, Joe Henderson, Stanley Jordan, Kenny Kirkland, Joachim Kuhn, Frank Lowe, Branford Marsalis, Wynton Marsalis, Ellis Marsalis, Bette Midler, Mulgrew Miller, Courtney Pine, Dianne Reeves, Wallace Roney, Pharoah Sanders, Arturo Sandoval, Sonny Sharrock, David Sanborn, McCoy Tyner, Sadao Watanabe, and Tony Williams. He has also performed on various movie soundtracks, including The Last Boy Scout, Glengarry Glen Ross, The Visit and was a featured soloist for The Score. 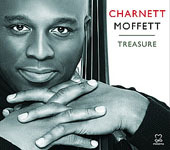 Enter the Motema Music "Charnett Moffett - Treasure" Giveaway"
All About Jazz musician pages are maintained by musicians, publicists and trusted members like you. Interested? 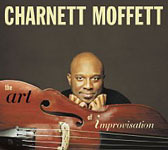 Tell us why you would like to improve the Charnett Moffett musician page.